North America Forum»Forum ›Magerealm ›General Discussion › REALMGUARD! WALKING PUNCHING BAGS! only special thing on us is healing, now you nerfed it to the point thats its useless, maybe removing it all make sense LOLS ..
what i mean is, heal is the only thing we got. 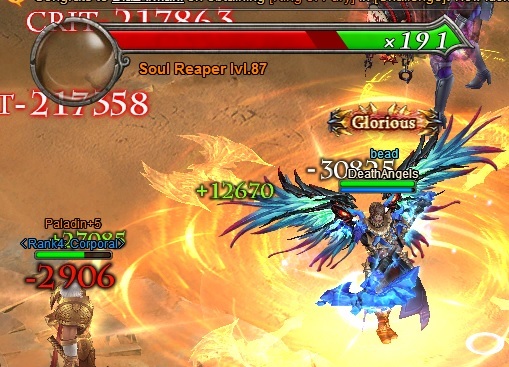 we aint dps that much, we dont have stats buff because of skills, we dont have that absorbed or pushed ..
Look at this .. damage is 217k bladestorm but it heals 12K + only is that 20% ?? when 2.50 update came it happens and merciless strike too feels like it lowers our heal to half ..
TK was already outdpsing RG. RG now becomes useless. SM is tankier than RG. TK is outdamaging RG. RG is the most useless class NOW. ;I am not spending single diamond until they fix this shiit. If you were in the shoes of an SM, you wouldn\'t even be able to take it. TK is the most OP class, followed by SM..
how can i lost when i have BR higher than you ( SM before updating 2.50 ). I win because i have BR higher than you ( SM after updating 2.50 ). 2019-4-22 00:48 GMT+8 , Processed in 0.065912 second(s), 52 queries .